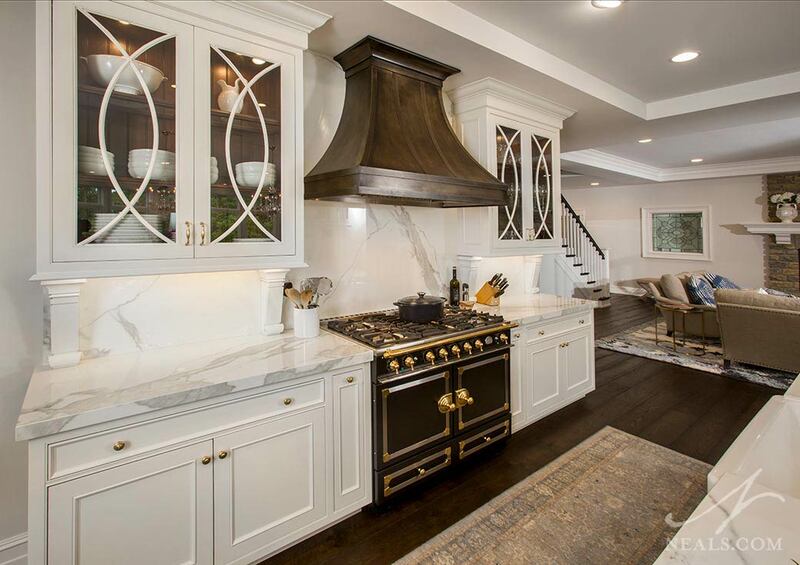 As kitchen design professionals, each year we assess the recent trends in the Cincinnati area kitchens we created, and take note of what looks to have some staying power into the next several months. This year, we see a continuation of many of the design trends we've been seeing, as well as a few new trends that reflect the modern sensibilities of today's homeowners. We've selected the top five we expect to continue seeing this year. See more photos from this Morrow kitchen remodel. In years past, we took note of color pairing in the kitchen, typically two or three colors mixed throughout the space to create visual zones and design impact. This year, however, we're going to take it a step further out and recognize that color in cabinetry is the big trend that doesn't appear to be dating itself just yet. 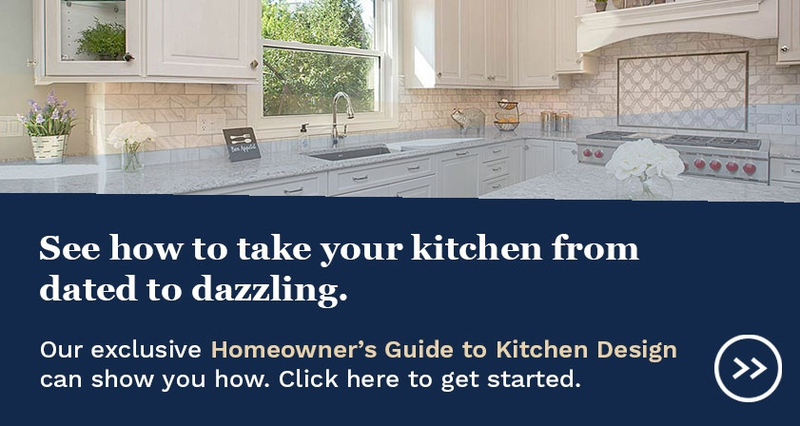 We're especially noticing neutral shades of blues and grays, but also that homeowners are interested in using the color of their kitchen's largest feature to carry the majority of the style statement, rather than relying on just the other materials (counters, tile, sinks, etc.) to create the style story. We expect to continue to see colored cabinetry, such as the warm combination of brown and gray used in this 2018 Local NARI Contractor of the Year winning kitchen above. See more from this Montgomery kitchen remodel. Last year we pointed to a trend for larger islands. This year, we've seen that the added surface area of the island is just one part of the trend toward more counterspace in general. 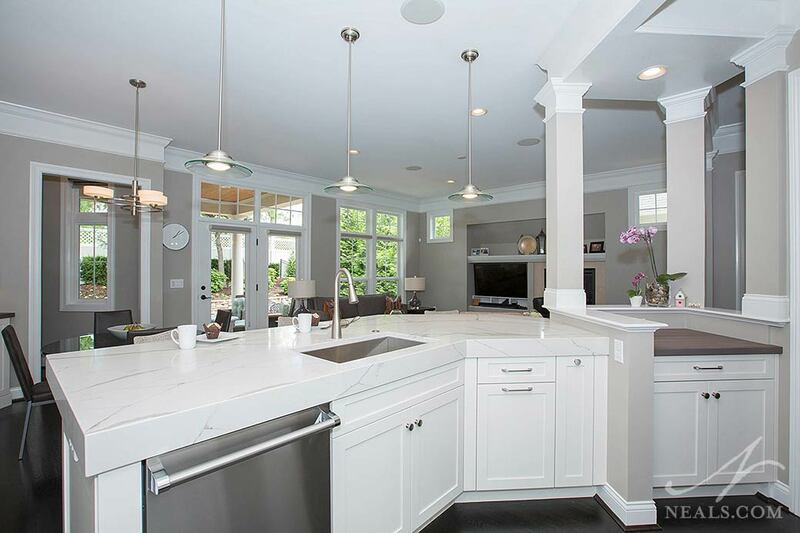 We're seeing small peninsulas replaced with larger islands, as well as long runs of free counterspace worked into the design of perimeter cabinets. 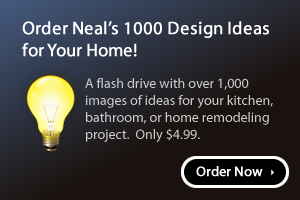 While more open counter has often spelled disaster for homeowners prone to clutter, we also note that newer techniques for custom interior cabinet storage, and more solutions for typical kitchen clutter have become the norm in kitchen design. This gives the open counter more of a fighting chance to stay open, and homeowners seem to be fully on board with that. 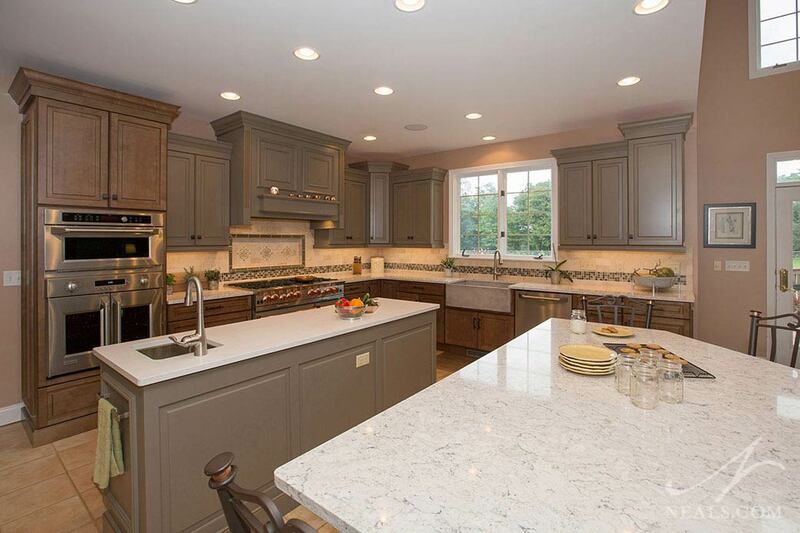 See the rest of this Cleves kitchen remodel. While we have also seen that complex tiles are having their own moment to great affect, in our kitchen projects we see the trend of using relatively simple tiles (usually with pretty or artisan finishes) and installing them with interesting patterns to create something a bit more unique and special. Herringbone, which has been a classic pattern that homeowners have gravitated toward for a very long time, is great for this technique and the one we see most often. 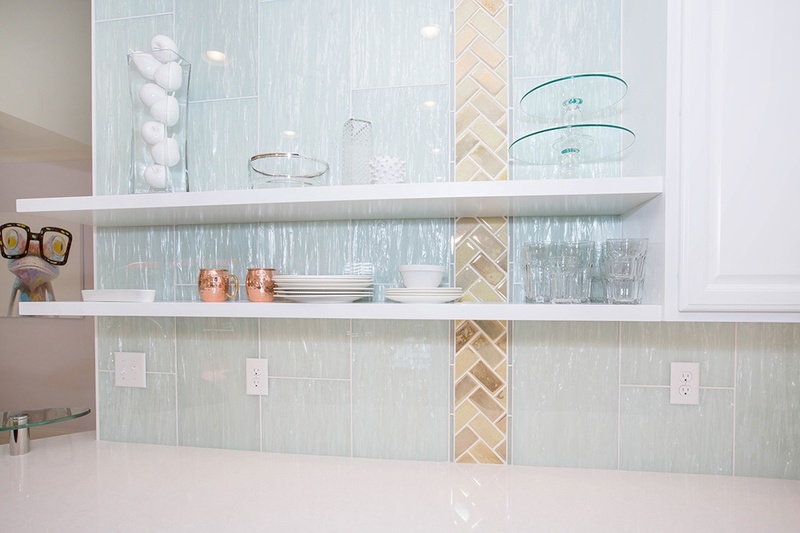 In addition, we've also seen more homeowners choosing to have backsplash tile installed all the way up a wall, such as around a window, or to create a feature. 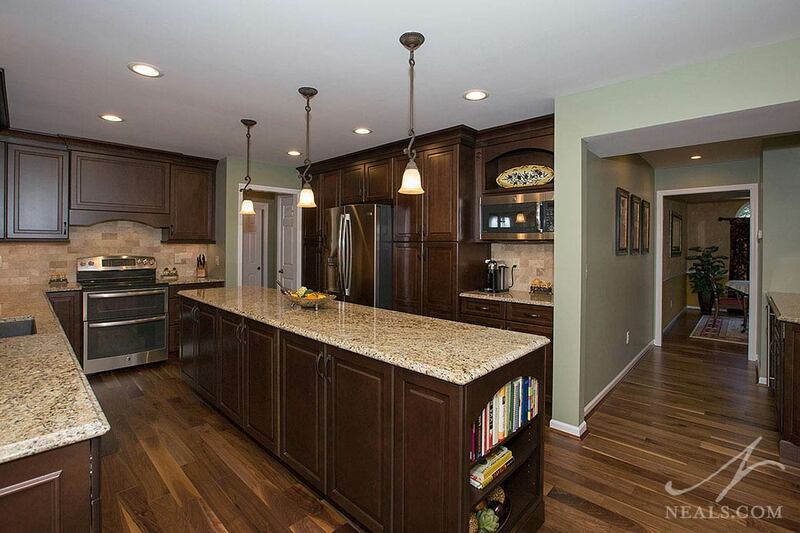 See more from this Loveland kitchen remodel. Storage is, of course, the purpose of kitchen cabinets, but it has not always been the case that cabinets provide the right type or amount of storage for any given homeowner. A rising trend for kitchen remodels is to take stock of everything that needs to be stored, then design the cabinets around those needs, rather than simply designing a pretty kitchen and hoping everything magically fits. While creating great storage for all your needs can mean lots of planning and more time in design, the result is a kitchen where everything has a place and looks great doing it. See more from this Indian Hill kitchen project. It used to be that we'd see an interesting range design come along every few years. Going into 2018, however, we see that the options for stylish ranges have increased at the residential level, and homeowners are excited to have more ways to add character to their kitchen. In addition to colored options, with contrasting knobs in up-to-date color schemes, simpler stainless steel ranges also appear to be getting a style boost. It appears that appliance manufacturers have finally caught on to what designers have known for centuries now- functional doesn't have to mean boring.